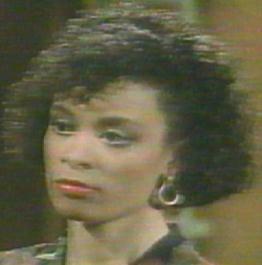 Portrayer: Valarie Pettiford, May 18, 1988 - June 18, 1990. Introduction Scene: The station house, to Lisa Grady, "Likewise." Exit Scene: The station house, to Evan Frame, "Good line."